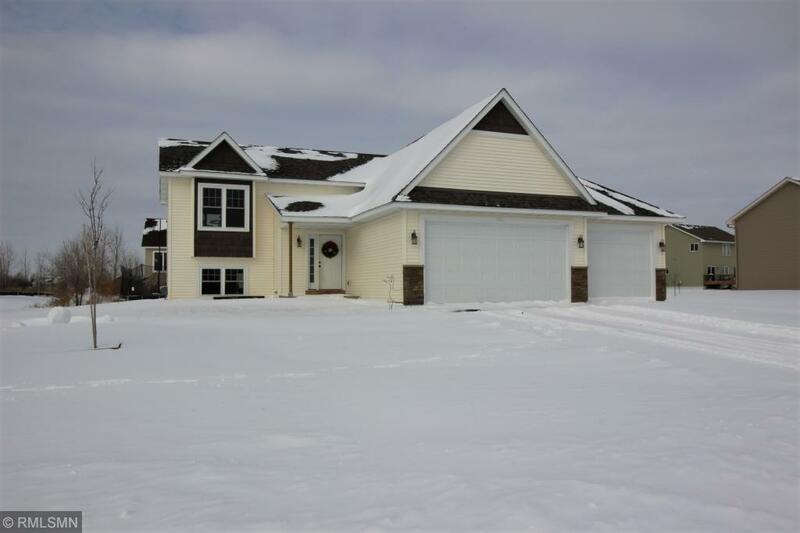 Open bright floor plan with vaulted ceiling, 3 panel doors, kitchen center island, large bath vanities, huge 3 car garage. Maintenance free vinyl siding with shakes and stone trim. Larger lot than most, lots of space between the houses. Very nice level lot. Quick closing possible.